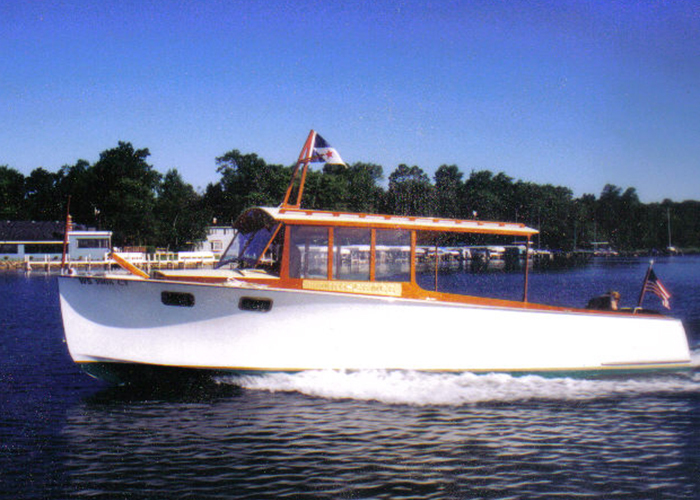 This is our 29' motor launch, designed by master boat builder Joe Norton III. 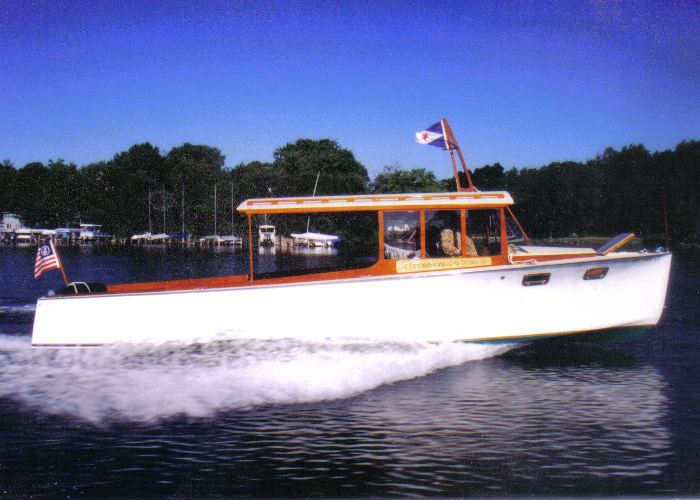 This craft was built to look like the classes motor launches that gave lake tours during the 1920s. 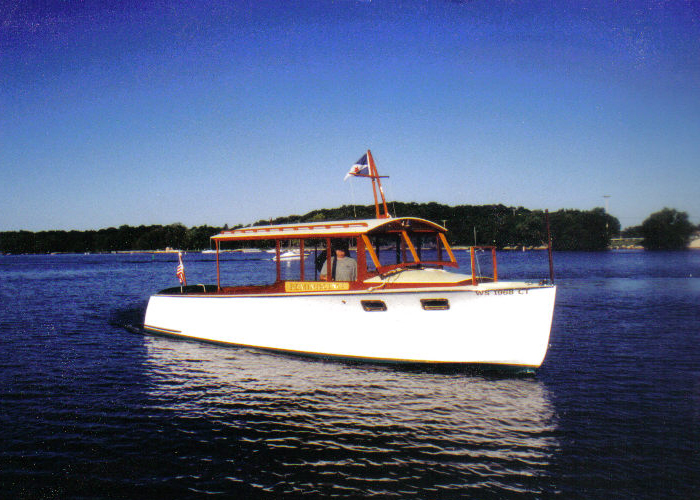 Designed as a plank on frame hull with very traditional lines, created as an all weather launch for dinner cruises and private tours. 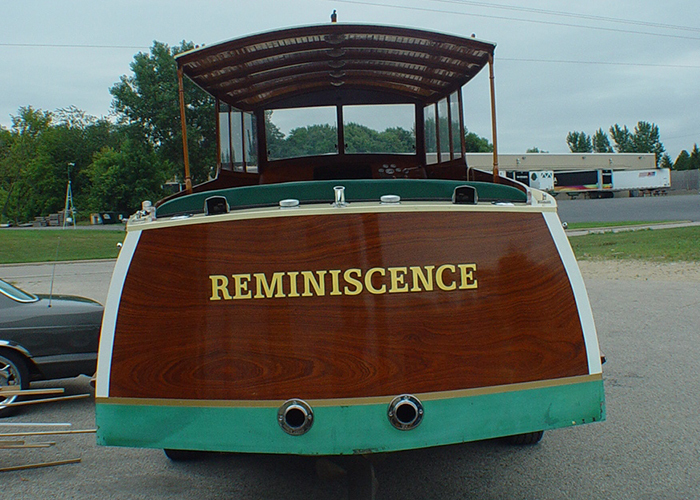 These boats are a deslightful way to show your guests around the lake, giving a quiet and pleasant ride with plenty of room to move about. This hard chine runabout style hull also has excellent performance. The 3/4 length hard top gives plenty of protection from the elements. When the weather turns bad, a modern fuel-injected engine will get you to safety. With a designed top speed of 30 miles per hour, we have had reports from owners of over 42 miles per hour without passengers! 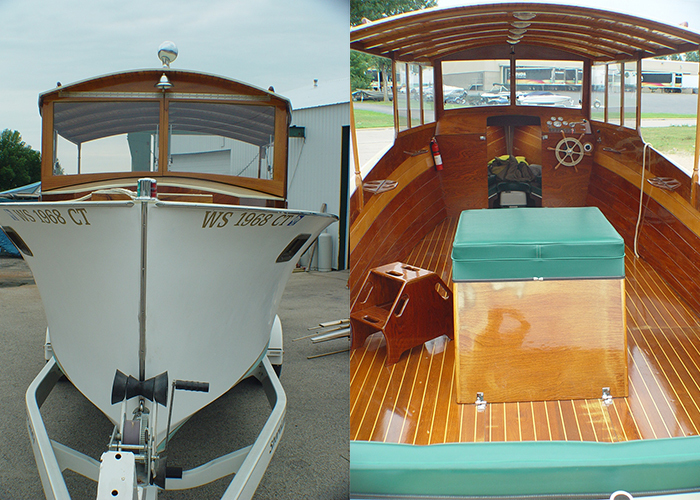 Constructed of Douglas Fir planking with glass and epoxy sheathing, these 29' cruisers have a 9' beam and weigh in at around 3,500 pounds. They can easily be trailered by a full-size truck and can event be kept on a boat hoist. Standard features include non-skid decks, teak and holly flooring, built-in fuel tanks, full instruments, LED lighting, opening windshields, dual wipers, fold-down pennant staff, bow hatch, portholes, boarding ladder and finished topsides and interior (in the wood of your choice). This hull is also offered with two alternate drive choices – a full electric drive train with solar charging and shore power charging. We also offer jet drive propulsion for shallow water operation. The interior of hte boat can be fully customized from a wide open "dance floor" to bench seating for thirty people. It's completely up to you!